Located 11 km (7 mi) across the harbor from Sydney, a holiday in Manly combines quiet neighborhood charm and coastal attractions, all the while placing you within easy access to the big city. Vaucluse House and Manly Freshwater Parish will appeal to history buffs. You'll explore the less-touristy side of things at Whale Beach and Bilgola Beach. Venture out of the city with trips to North Narrabeen Beach (in Narrabeen), Mona Vale Beach (in Mona Vale) and Palm Beach (Palm Beach & Barrenjoey Lighthouse). There's lots more to do: kick back and relax at Shelly Beach, tour the pleasant surroundings at Avalon Beach, explore the world behind art at Manly Art Gallery and Museum, and learn about wildlife with up-close encounters at Taronga Zoo. 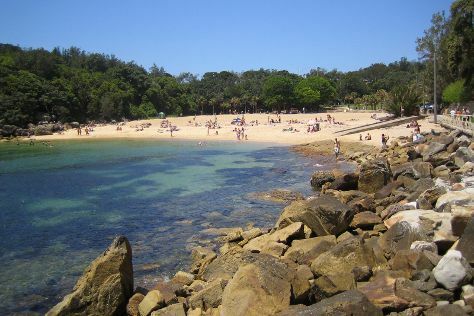 To find where to stay, other places to visit, more things to do, and more tourist information, read Manly trip planner . Sydney to Manly is an approximately half hour car ride. You can also ride a ferry; or take a bus. In February in Manly, expect temperatures between 31°C during the day and 23°C at night. Wrap up your sightseeing on the 16th (Sat) early enough to drive to Pokolbin. With its first vineyards established in the mid 19th century, wine tourism in Pokolbin remains a major draw. GunDog Estate and Tulloch Wines are good opportunities to explore the local culture. Eschew the tourist crowds and head to Mistletoe Wines and Calais Estate. There's more to do: learn about winemaking at Briar Ridge Vineyard and indulge your taste buds at Constable Estate Vineyards. For other places to visit, maps, photos, and other tourist information, you can read our Pokolbin tour itinerary planner . You can drive from Manly to Pokolbin in 2.5 hours. Other options are to do a combination of ferry, train, and taxi; or do a combination of ferry, train, and bus. In February, plan for daily highs up to 32°C, and evening lows to 20°C. Finish your sightseeing early on the 21st (Thu) so you can drive back home.